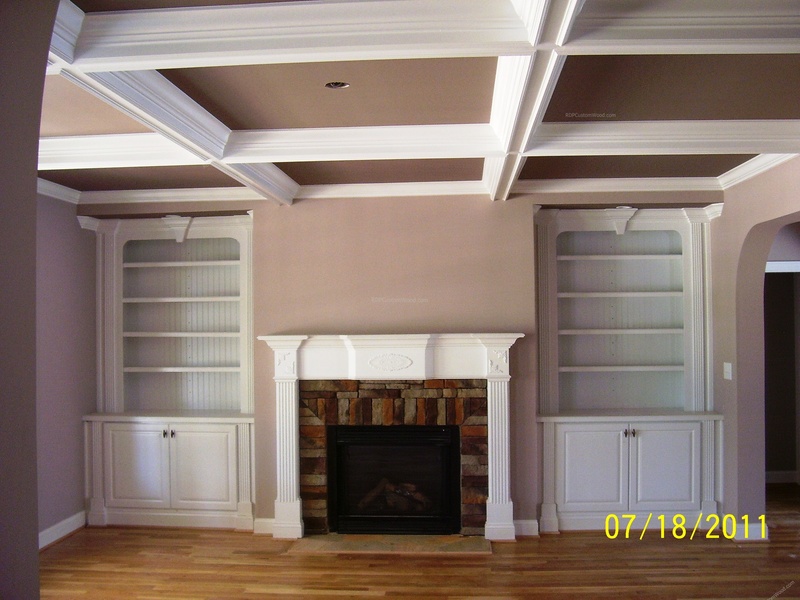 Are you planning to get the fireplace mantel replaced or redesigned? Perhaps you are looking for fresh designs for the fireplace mantel. There are many ways in which fireplace mantels are being dressed up today with decorative items, a nice ornamental frame, brickwork and other design ideas. If you have a small fireplace mantel try a large frame in a contrasting color. You can keep the frame simple or add some motifs to make it look pretty. You can also get a vertical and stylish mantel that is different from the regular kinds. 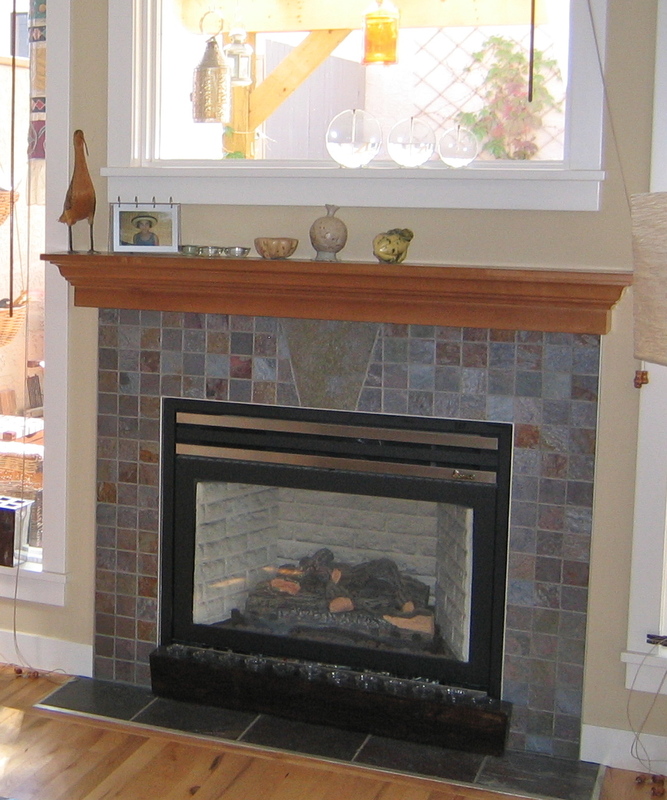 Try a mosaic tiling frame to add color to the mantel. Take a look at these Fireplace Mantel Designs. If you liked our selection, perhaps these other posts will interest you too, Kitchen Backsplash Pictures, Living Room Decorating Ideas For Apartments, Laundry Room Storage Ideas and Dorm Room Decorations Ideas. You can have this interestingly designed mantel for the fireplace. An elaborately designed fireplace mantel looks great. Keep the look sleek and stylish. Get a large wall design with a brick theme for your fireplace mantel. Try a solid-looking fireplace mantel design. Go for a closed style fireplace mantel. Put decorative pieces on the top of the mantel. Style it the old way with a brick design. Keep it uncovered for a cheerful effect. Keep the fireplace screened if there are children about. Go for a clean and modern look like this. Try a decorative marble look for the mantel. Brickwork creates a warm and cheery effect. Style it with a fresh and modern look like this. Use a screen for safety and style. A brown touch looks great on your fireplace mantel. Go for a designer look with a covered fireplace. A simple screen can both protect and make your fireplace look pretty. Use a clean and modern design for the fireplace mantel in your home. Use a gray slate look for the fireplace mantel. Try brick patterns to make your fireplace mantel artistic. With a covered fireplace you can have a nice decorative frame. Go back to the old times with a log style mantel. You can use a colorful mosaic pattern for the mantel. A wood finish creates a warm look for your fireplace mantel. Try a mix of old and new with wood and tiling design for your mantel. You can have a dark-colored mantel for your fireplace. Go natural with a log design for your mantel. You can surround your fireplace with solid brickwork. Use a pretty slab effect for the fireplace mantel.